Life with a horse is a dream come true! 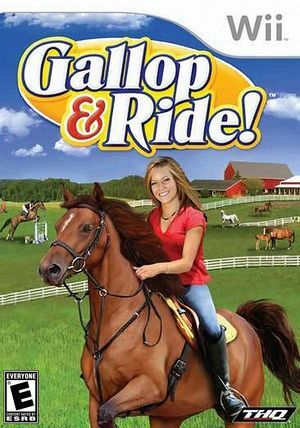 In Gallop & Ride! (also known as Horse & Pony: My Riding Stables) take on the ownership of the Old Mill Ranch. It's up to you to renovate, manage and care for the stables and your horses. The graph below charts the compatibility with Gallop & Ride! since Dolphin's 2.0 release, listing revisions only where a compatibility change occurred. This page was last edited on 18 January 2018, at 00:34.